Have a free afternoon and want to make the coolest craft you have ever made? 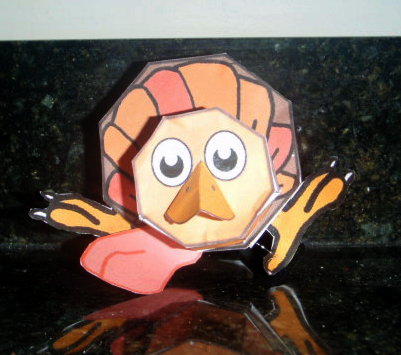 All you need are a printer, paper, scissors, glue, and patience and you will have a fun Thanksgiving arts and crafts activity to keep you busy. Find out more below. (2) Cut out all the pieces along the dark outer lines. (3) Score all inner lines. 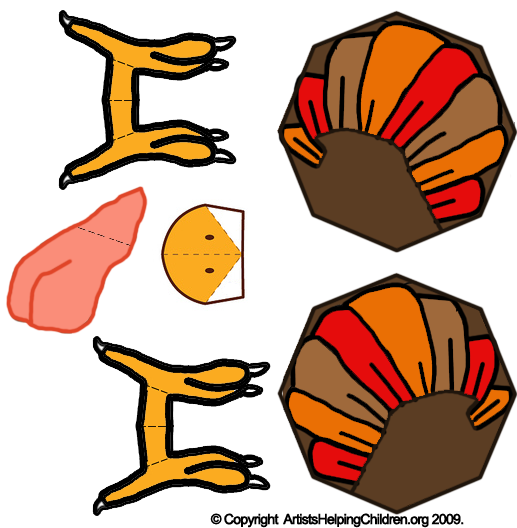 You can use a dull butter knife to score the folds. (4) After you score all the inner lines & tabs, most shapes will take on a 3d-like shape..and you should be able to figure out how it folds up. If not, take a look at the finished image to help you out. 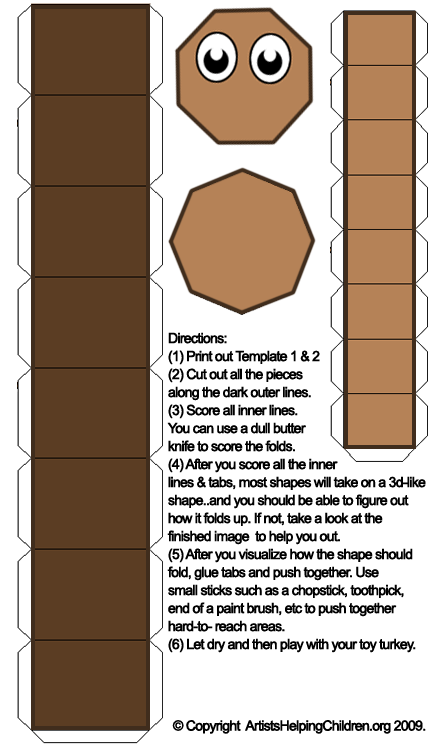 (5) After you visualize how the shape should fold, glue tabs and push together. Use small sticks such as a chopstick, toothpick, end of a paint brush, etc to push together hard-to- reach areas. 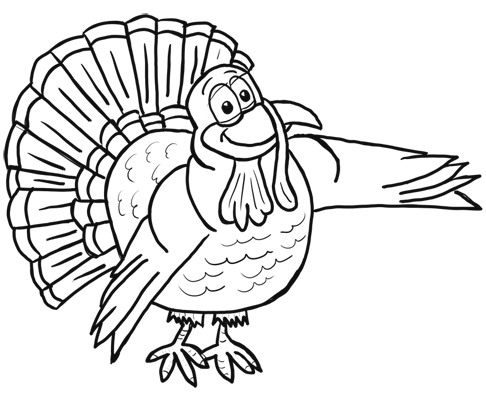 (6) Let dry and then play with your toy turkey. 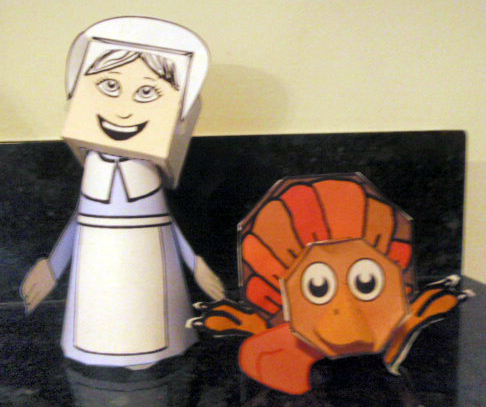 Make all the papercraft Thanksgiving characters like the Turkey, Pilgrim girl, Pilgrim boy and the Indian boy, and Indian Girl Make sure to do them all.